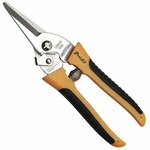 Shears is a multi-purpose tool for cutting cables. 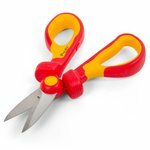 Choose shears based on what your requirements are: micro scissors are ideal for precision applications, or insulated ones that are good for electrical installation works. 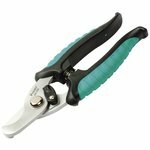 Designed for cutting and stripping telephone and electrical cables. Cut cloth, carpet, linoleum, leather, cardboard tin plate, branches, foam rubber and more. 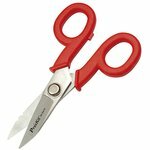 Scissors with heavy-duty stainless steel blades. Suitable for multiple applications. 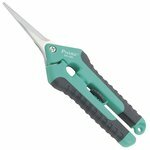 Scissors for precision applications. OAL: 120 mm. Excellent for industry, sewing, crafting, etc. 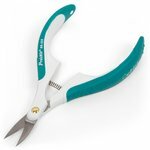 VDE 1000 V insulated electricians scissors with stripping hole. OAL: 160 mm. Stainless steel, oil-hardened.